We are delighted to bring you the recorded presentations and slides from two BANT Regional Branch meetings that featured high quality speakers on the topics of Functional Sports Nutrition and Female Hormonal Health. The events were rated ‘excellent value’ by the majority of attendees. If you were unable to attend these events this is a fantastic opportunity to gain *CPD hours whilst learning more about two interesting and relevant topics in nutrition: current research and functional testing to support highly active clients and athletes, and the clinical application of the latest research in female hormonal health. Following a preview of BANT promotional video at the AGM on 3rd of March we are now pleased to provide you the access to use the video on your website. It is designed to provide the public with a brief 2 1/2 minute, entertaining but informative view of our approach and how individuals can achieve improved wellbeing by consulting BANT registered Nutrition Practitioners for individualised nutrition and lifestyle recommendations. The video is also available to view on BANT website homepage and will be promoted further. GDPR requires that the ‘data controller’ has appropriate data protection policies in place. BANT recommends that small NT businesses have a single Data Protection Policy that describes at a high level how you will comply with GDPR and who is responsible. 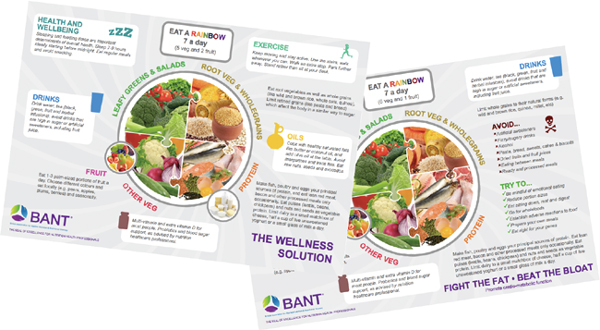 BANT confirms it has received a letter from the Association for Nutrition ‘requiring’ that we make changes to the way we operate. We believe that they are making unwarranted threats and will defend our position robustly. We have engaged lawyers and are deciding how best to respond to defend our members’ interests. Whilst we are unable to make further comment at this stage, we will provide regular updates to our members whenever we are able to.